Bhutan is one destination that will fire up the imagination of your delegates. Some curious, some incredulous, some a little nervous, some still ambivalent but for once, you are going to bring excitement that will turn men and women into boys and girls. Finding Convention Centers in Bhutan can be quite time consuming. At Conventions.net, we provide you with an easy to use, efficient means of searching for event planning resources for Convention Centers, all in a manner of seconds. 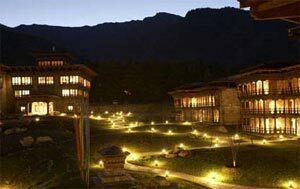 You have the opportunity to choose from a vast selection of Convention Centers in Bhutan. We developed Conventions.net to make the search for Convention Centers in Bhutan easier than ever. At one time the most efficient way to locate Convention Centers and related Trade Show planning resources in Bhutan was to call company after company simply based on their yellow page ad. 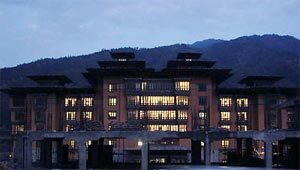 Now, when you use Conventions.net you can find Convention Centers in Bhutan that meet your specific needs. Not only is this a convenient way to quickly locate Convention Centers and Trade Show planning resources, but it is also an excellent resource to find industry suppliers such as Trade Show Displays, Trade Show Booths, Convention Centers, and Promotional Products providers in Bhutan. We are affiliated with both large nationwide Convention Centers as well as smaller local Convention Centers and related industry suppliers, which offer trade show and convention planning resources in Bhutan. So, if you are looking to plan a meeting, convention, or trade show in Bhutan you have nothing to lose, and only time and money to gain by letting Conventions.net help you find more information regarding Convention Centers in Bhutan. Under the SILK ROAD GROUP Adventure Silk Road Inc & Abode Asia Tours & Travels Inc. has handled several Incentive Groups both from International and Domestic markets offering unique programs especially designed to suit the budget and liking of the participants in a perfect manner. Bhutan is a dream come true for an organisation that is is looking for a new and exciting desitation to offer as a special location for Incentive trips, Meetings, Special events, Photo shoots, Location scouting, Seminars, Conventions, Group arrangements, TV-spot-shoots and Product launches. With its unsurpassed scenery and unique blend of culture Bhutan offers something very different.